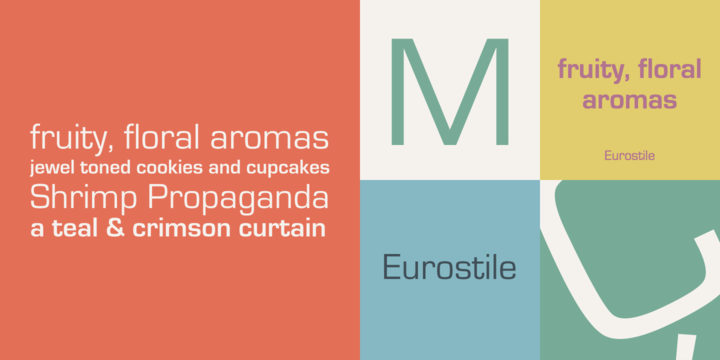 Eurostile was originally produced in 1962 by the Nebiolo foundry as a more seasoned and complete version of its earlier Microgramma typeface, a caps-only design by Alessandro Butti used to label the foundry catalog. The family reflects the forward-looking spirit of the 1950s and 1960s. Its wide forms with squared curves are reminiscent of the shapes of cathode ray tube televisions, or the windows of airplanes and high-speed passenger railcars. By these associations, but also by its own careful composition, Eurostile has sustained the ability to give copy a dynamic, technological feel. It works well for headlines and short bits of text, poster work, and, you know, on the side of space-going vehicles. 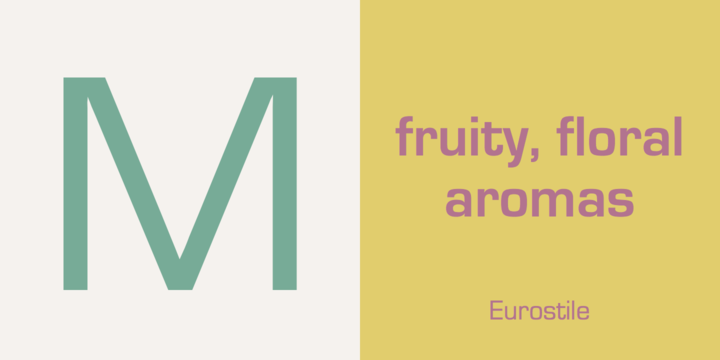 The family spans three widths: Condensed, normal, and Extended, in three weights each. Its normal width includes companion obliques. Adding additional versatility, an outline style also accompanies the family.